Is this 2008 all over again? 1987? 1929? I doubt it. We’re not seeing any stress in credit, which is where the real problems start. In fact, some stocks and sectors are going up while others are going down. We’ve seen relative strength in Energy, Utilities and Consumer Staples. Remember, the Dow Jones Industrial Average closed at a new all-time high just last week. It’s easy to forget right? So what’s the problem? The problem is that we have failed breakouts in all of the major U.S. Indexes, and at the very least, it is going to take some time to resolve. The questions are: How long? and How low could we go? Coming into October we outlined very clearly what it would take for us to approach the market from a more defensive point of view. This included key levels on most of the major Indexes and important sectors. Small-caps broke early last week, so there has been no reason to be long that group. Large-caps broke this week. All of that broken support is now overhead supply on any attempts to get back to where we were in September. This is most likely going to be a struggle. Does that mean the world needs to come to an end? I would say no, at least not yet. We’re not seeing credit spreads widening. In fact, we’re just seeing narrowing spreads, which I think is positive for equities bigger picture. 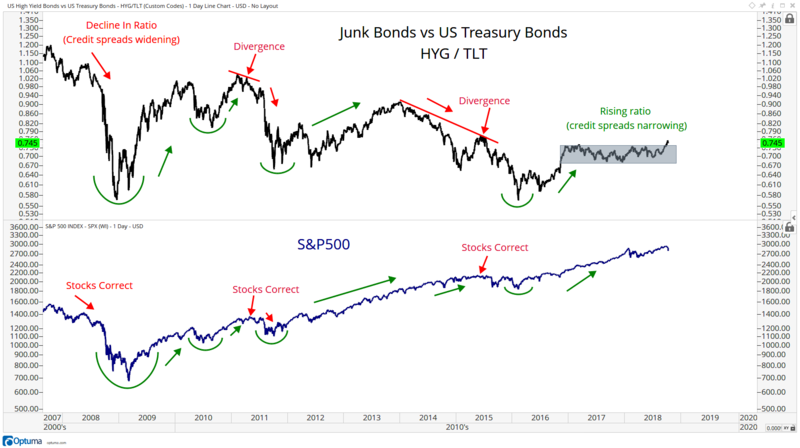 The recent destruction of bonds has created volatility and that spilled into the equities market. What’s wrong with that? Did I think the higher probability outcome was that we trade higher in the US Stocks and Indexes? Yes. Were we blindsided by the sell-off? No. That is why we define our levels prior any collapse in price. I’ve been around too long and have seen too much to think I know anything. We always assume we’re wrong and let the market prove us right (See: Risk Management and Position Sizing). In fact, you would think that on one of the worst stock market days of the year (years), I would get a bunch of emails from people wondering what is going on. Even I figured I’d get a few. Why are none of our customers surprised? Because we spend more time outlining what it would take for our bullish approach to change, than we do pounding the table about our bullish approach. It’s all about risk management. How low can it go? Way lower than you think. Where is the bottom? I have no idea and no one else does either. But what makes me think this is not 1929, or 1987 or any of those other things they keep telling us will come? Credit. I have laid out all of my downside targets in the major U.S. indexes (premium) and even included what it would take to invalidate any of the bearish implications from last week’s breakdowns in Small-caps, Large-caps and major Sectors. I do think stocks go lower, much lower. But so far, I believe this correction takes place within the context of a longer-term secular bull market. What would it take for me to change my mind and position for a larger crash? I think a breakdown in this ratio below the late 2017 lows would be an indication that there is more trouble ahead for stocks. We are also watching how this massive top in Europe develops. I don’t think this is the end of the world but we’ll be watching bonds and I’m happy to change my mind. Are you not receiving Premium Content yet? Please tell us why. Or Start a risk Free trial today!